IDEA's strength lies in its network of partners! IDEA works in partnership with several institutions around the world to conduct advisory services, training and development of practical and operational decision support solutions. The IDEA International Institute is an accredited provider “Registered Education Provider” of PMI training services. The PMI is an international leader in the promotion of project management with a half million active members worldwide. University certifications issued by IDEA have all passed PMI quality control. The IDEA International Institute and Laval University have joined forces to create unique University Certifications programs (Masters Certificates). These programs cover various areas of Results-based management Development (RBM). 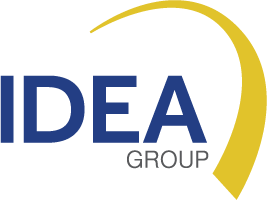 IDEA International is actively involved in the International Development Evaluation Association, a global network of development practitioners and evaluators engaged in capacity building activities, networking of methodological approaches and sharing knowledge. IDEA International and COFOMO have joined forces to offer integrated data management systems. COFOMO, is a specialized firm in consulting and expertise management, specifically in the field of “Business and Information Technologies”. It has several certifications from Microsoft and Oracle. To provide satisfaction to our customers and to offer a wide range of services, we made a business partnership with Odoo, the most widely used ERP open source platform in the world, in order to offer services based on open source solutions. We have the capacity to develop, implement and deploy the ERP platform from the beginning to the end according to the organization’s needs. Within the professional seminars offered by IDEA International, professional training in Public-Private Partnerships Management (PPP) has been developed. In this context, IDEA works with trainers associated with the IDEA network from the team of Toraza, Canada (www.toraza.ca) who are certified by the APM Group (APMG) International to deliver the Professional PPP Program (“Certified PPP”). Professional -CP3P “program), which is part of the initiative developed by the 7 multilateral banks. IDEA International is able to develop tailored programs, following the guidelines and prototype of the CP3P program, and is able to provide Spanish-speaking trainers to facilitate training in various modalities, either in face-to-face format, or to make combined program, with an online part using IDEA’s e-Learning platform. The Infrastructure Council of Canada is a non-profit organization whose mission is to promote the development of alternative financing projects and infrastructure projects in Canada. The Council acts as a center of expertise and reflection on the implementation of these innovative projects and as a place of international knowledge exchange. The Infrastructure Council and the IDEA Group, as an expert in results-based management, are collaborating to provide training in the management of major infrastructure projects. AuRéDi is a public sector consulting firm based in Paris, France. His name reflects his mission: Auditer (to audit, as it is necessary to listen before evaluating), Réinventer (to reinvent, as we need to innovate to recreate) and Diffuser (to spread, as it is necessary to share to transform). The great compatibility between AuRéDi and IDEA, both in the values ​​and areas of expertise, makes them natural partners to support a results-oriented public management. Partnership for the design and delivery of university certifications in Public Procurement, offered jointly by CAPGEFI, IDEA and Laval University. Partnership throught involvement in Redlacme (Red Latino Americana y del Caribe de Monitoreo y Evaluación) forum, in Budgeting for Results Network and Subnational Governments on MfDR network, in the area of Results-Based Management. Tripartite partnership between the IDEA International Institute, Laval University and ENAREF for the design and delivery of training in procurement cycle management. AFRISTAT and IDEA International signed a partnership protocol in July 2017 with the overall objective of contributing to strengthening excellence in public sector management in Francophone Africa. See the operationalization plan. IPM Consulting (Integrated Project Management) is a Moroccan consulting and services company specializing mainly in portal development and integration, deployment, support, and training around Microsoft Project and Portfolio Management (PPM). ). IPM Consulting and IDEA have partnered to provide combined technology expertise and solutions. 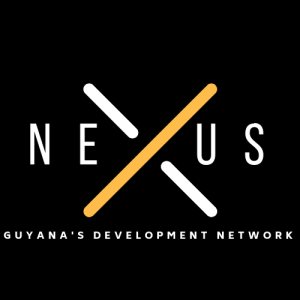 Nexus GDN is a management consulting business that provides quality and value-added services to public and private sector actors in Guyana. IDEA and Nexus GDN work jointly on projects in the CARICOM region with governments, intergovernmental agencies and development partners. Our partnership, that covers technical assistance, training and coaching and software solutions for performing governments, focuses on areas such as health, infrastructure, financial reforms, risk management, human resources and procurement.